Gabriël "Bwipo" Rau received the first-ever "Most Outstanding Rookie of 2018" award in the EU LCS Saturday after fan outcry at Riot Games' initial decision to exclude him from the EU LCS Rookie of the Split award. Riot Games announced the award as a final, surprise category in the ​EU LCS fan favorites, a series of awards whose recipients are chosen by ​League of Legends fan votes. Incredibly proud of the EU LCS 'Fan Favourites' and so happy that so many of you voted. After a lot of discussion, we decided to add one extra award. It gives me great pleasure to announce @Bwipo as your #EULCS Most Outstanding Rookie of 2018. Riot Games initially announced that it ​would not award a Rookie of the Split for summer Aug. 17, as only one player would technically qualify for the award under its rules. Bwipo in particular was disqualified because of his time spent playing in the Mid-Season Invitational. Fans were vocally disappointed by this decision, arguing that Bwipo still deserved the award. As a result, the awards panelists decided to give Bwipo his own one-of-a-kind award to commemorate his outstanding play in his first full EU LCS split. 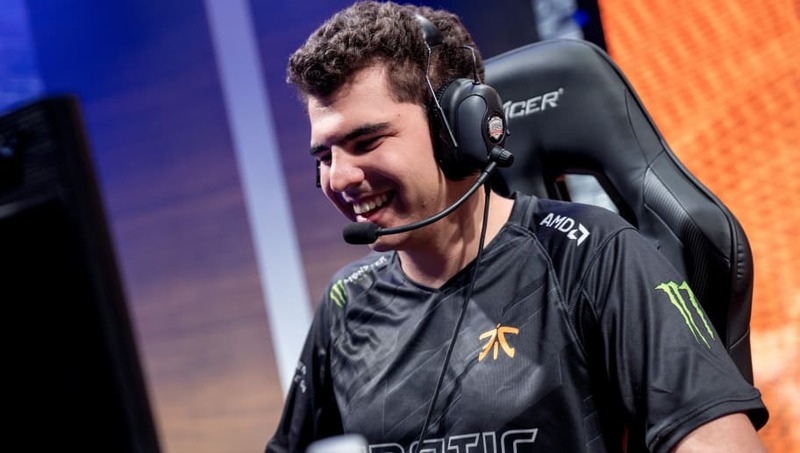 Bwipo and the rest of Fnatic sit in the grand finals of the summer split with a 13-5 record. Fnatic is set to play Schalke 04 Sunday to decide the winner of the split.